Wanted to share an interesting information related to Google+. 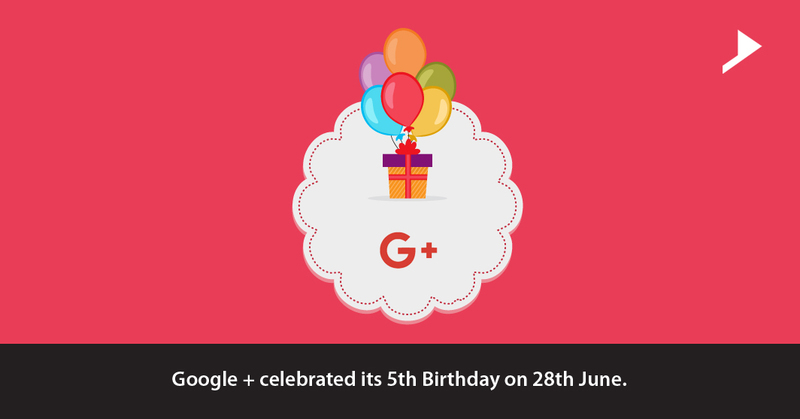 On June 28, 2011 Google+ came into existence and yes, yesterday was its 5th birthday. 2011 was the peak year for social networks wherein Facebook was heading into the competition with its millions of features and getting maximum users every month. Google+ aimed to be the best place to connect with the people across the network with their shared interests. Google+ today exists as a gesture of loyalty to many of the reputable users and communities. Everybody reading this article will have different opinions related to Google+. Isn’t it? Many of them might have experienced true unique moments with this platform while others might have met their best online friends through this platform, and many of them were able to gain support for their creative pursuits. Although it was not able to scale the actual heights which it aimed, for now at least Google+ lives on! Happy Birthday Google+. Oh sorry its belated..